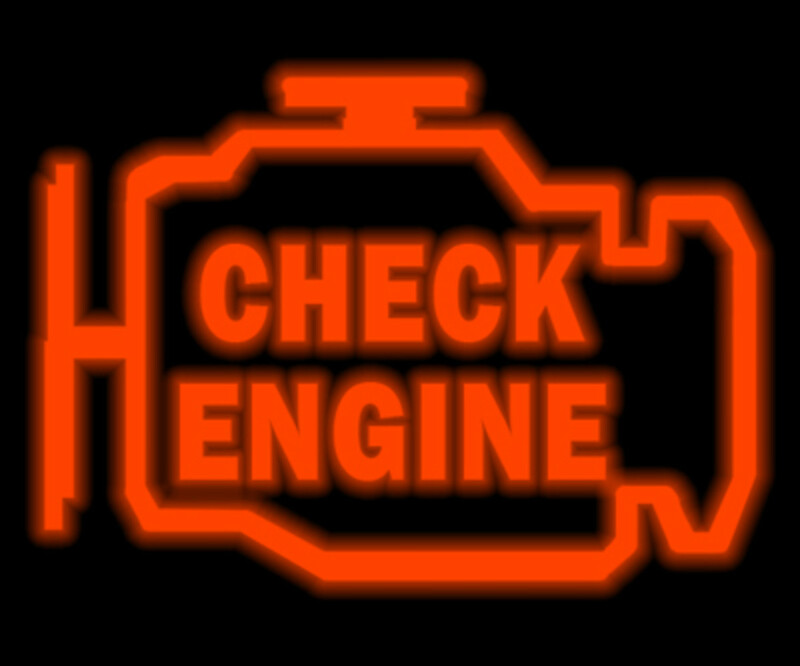 The check engine light is part of your car's on-board diagnostic (OBD) system. This system is operated by the electronic control module (ECM), which is your car's computer. In modern vehicles, the ECM controls almost every major electrical or electronic system and continually scans for out-of-range operating parameters as reported by numerous sensors and actuators. For example, a sensor or actuator may detect a misfire, poor fuel injection, unusual output voltage to the secondary ignition system, erratic operation of the fuel pump, or any other condition that might affect engine performance or emissions. Your car's computer will first try to correct the problem or wait a number of cycles. When the computer can't correct the problem, and it doesn't correct itself, the OBD system will store a diagnostic trouble code (DTC) in memory. This triggers the check engine light. Since the computer stores a specific trouble code identifying the particular malfunction, it is a way to help car technicians and owners determine the nature of a problem and potential system or component involved. With the right tools, it also helps you troubleshoot your vehicle whenever the engine light illuminates. In this guide, you'll find out what type of problems turn on the check engine light, what it means when it flashes, how you can retrieve the trouble codes stored in your car's computer, and how to go about deciphering those codes to help you fix your vehicle. Whenever the computer detects an abnormal condition through one of these, it sets a DTC in memory and lets you know by illuminating the light. When a potential emissions-related problem warrants your attention, you'll see the light illuminate in one of three different patterns. Sometimes, the problem comes and goes. This is referred to as an intermittent or soft failure and can cause the light to flash, stop flashing, and then start again. The problem appears only when certain conditions appear. For example, the loose connector or broken wire that keeps connecting and disconnecting when the vehicle travels over bumps or irregularities on the road, causing the light to turn on and off for periods at a time. Whenever a problem causes the light to come on and stay illuminated, a hard failure is present. A dirty or failed mass air flow (MAF) sensor, for instance, will remain out of its normal operating parameters and cause the check engine light to remain on until you clean or replace the sensor. When the check engine light flashes continuously, it means you have a critical problem that will cause serious damage if neglected. Usually, this originates in a misfire that allows fuel to pass into the exhaust manifold and down to the catalytic converter where high temperatures ignite the fuel. 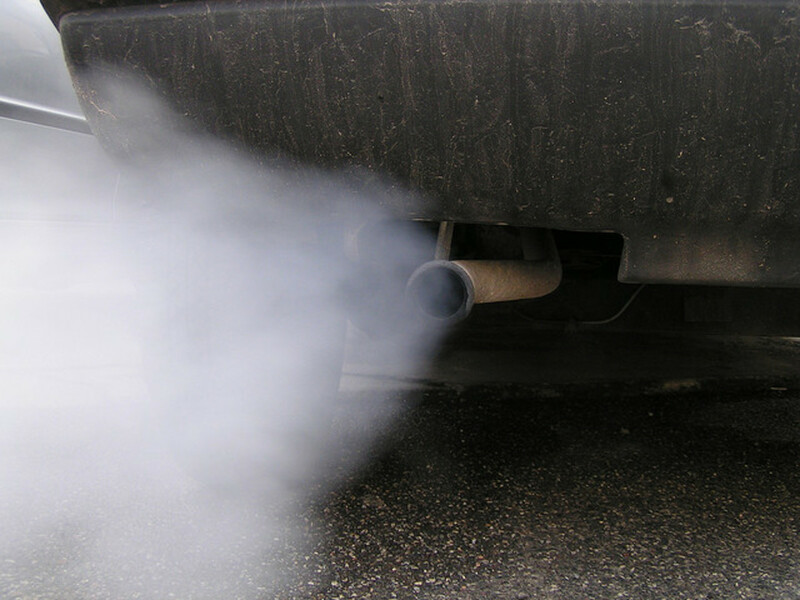 Eventually, this condition will damage the exhaust system or catalytic converter. You need to fix the problem soon before a minor repair turns into a major and expensive one. Engine mechanical problems including worn parts. Bad injectors, regulator, or fuel pump. Bad oxygen, EGR valve, or EVAP sensor. Vacuum leak, hose, or gasket problems. Actuators or sensors sending bad signal to computer. Electrical short in a monitored circuit. Electrical connection problems, corrosion, or broken wires. 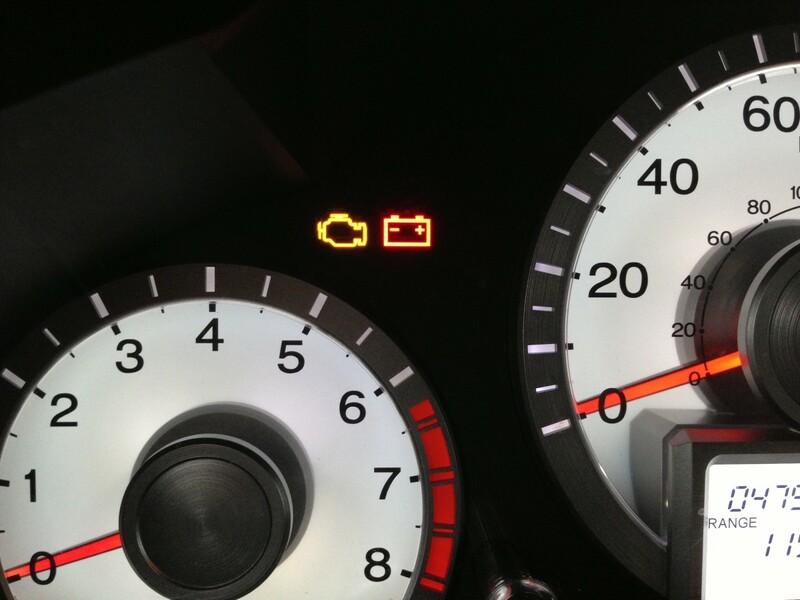 When the computer detects an abnormal condition, it will store a DTC in memory and turn on the check engine light to let you know of the situation. Let's say, for example, that the oxygen sensor in the exhaust system detects too much oxygen in the exhaust stream and sends this information to the computer. The computer tries to rectify by injecting more fuel into the engine. However, if one or more fuel injectors fail to respond, the computer will detect the problem, store a trouble code, and turn on the light. Manufacturers have standardized the codes across all 1996 and newer models. This means that a specific code will point to the same type of problem regardless of what make and model you own. This makes it easier to troubleshoot and fix your car. Diagnostic codes contain alpha-numeric values. The configuration of a DTC begins with a single letter, followed by four digits. So, a typical trouble code looks like this: P0102. The first letter denotes the type of code. This could be a "P" (powertrain), "U" (wiring-network), "C" (chassis), or "B" (body). We're concerned with "P" codes here, since they relate to the check engine light. Next, you'll see a "0" or a "1" digit: A "0" means you are dealing with a generic OBD code found in most vehicles; a "1" means you have a code specific to your car make and model, better known as a manufacturer specific code. The next digit will tell you in which system the computer detected the problem. A "1," for example, means the problem originated in the fuel and air metering system. Finally, the last two digits identify the specific circuit or component involved and the nature of the problem. For example, a "02" means the computer detected low input in the mass air flow sensor circuit. Once you see the check engine light illuminate on your dash panel, you can retrieve the trouble codes. On pre-1996 vehicles, you'll find different procedures to retrieve the codes. With some models, for example, you can use a code reader—available at most auto parts stores—or an analog voltmeter. Other models use the ignition key to cycle between the on and off positions a number of times to read the code blinking light on your dashboard. You'll find the particular procedure in the repair manual for your specific make and model. You can buy a manual at most auto parts stores or online. 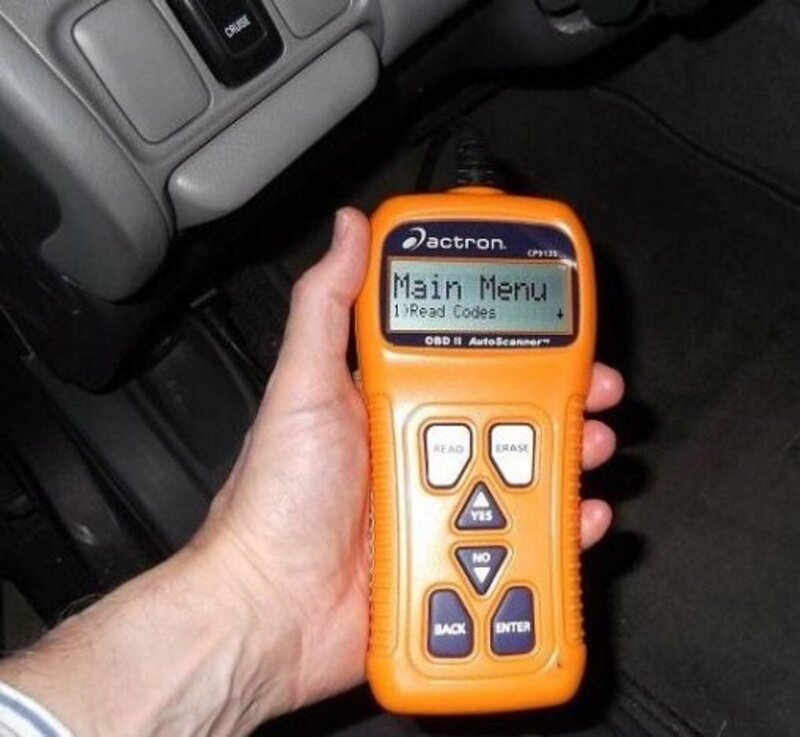 Retrieving codes from a second generation OBD system requires the use of a scan tool. Scan tools come in various degrees of sophistication. You can spend less than a hundred dollars or a few thousand dollars on one of these tools. For most owners with cars equipped with OBD-II systems, $70 and $200 dollars will be within their budget to afford a scan tool good enough to retrieve most check engine light related trouble codes. You can buy quality, relatively inexpensive scan tools at most auto parts stores or online. Some will display the code and a brief description of the code. Others will only give you the code, but most come with their own instructions manual and a list of diagnostic codes and their definitions. Additionally, many websites will help you define the trouble code and give you additional help in translating the code into a troubleshooting procedure. Still, you may not have to buy a scan tool to get the codes. Some auto parts stores will run a diagnostic on your car for free. They'll hook up the scanner to your car's computer and retrieve any stored DTCs their scanner can find. Yet, as useful as DTCs are to troubleshoot car systems problems, you need to keep one thing in mind when working with codes: Your car's computer will only point toward the circuit or component involved in a potential problem and the type of problem it's dealing with. This means the codes don't give the whole picture. You still have to confirm the circuit or component has failed. One of the main reasons is that a fault on a wire, hose or connector, for instance, can fool the computer—and you—into thinking that another component has failed. Take, for example, a loose or torn vacuum hose leaking vacuum. The oxygen sensor will report to the computer that fuel rate is too lean. However, unable to adjust the fuel ratio, the computer will set a "dead oxygen sensor" trouble code instead. Obviously, replacing the sensor won't fix the problem. So you need to troubleshoot the oxygen sensor to verify that in fact the sensor has failed. Otherwise, you'll start replacing good components without actually fixing the problem. Once you've diagnosed and repaired the fault that caused the light to come on, you need to clear the trouble codes from the computer's memory. On older vehicle models, you disconnect the car battery for a few seconds to clear the codes from memory. But don't use this procedure on newer models or you risk erasing the computer system adjustments as well. 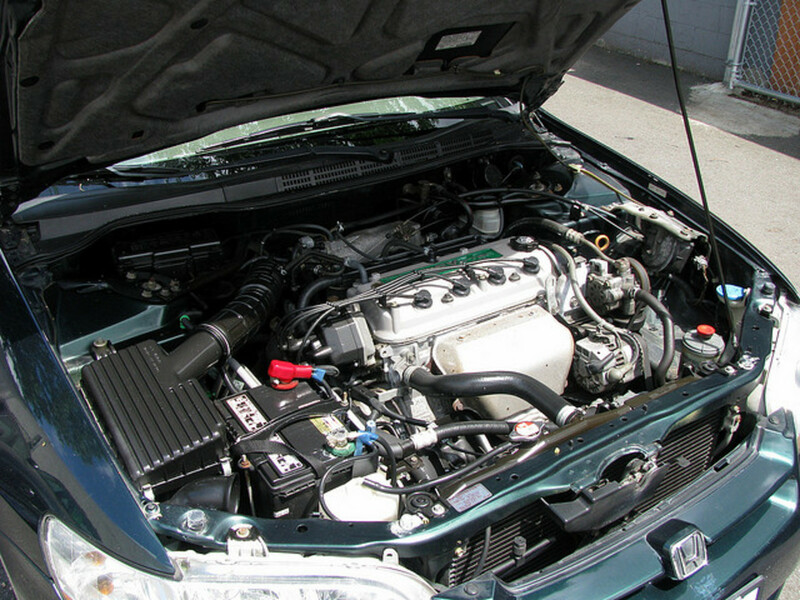 Disconnecting the battery on some OBD-II systems will require the computer to relearn sensor inputs—for days or weeks—and adjust output parameters to configure a driving strategy for better engine performance. Also, you'll erase your radio and alarm settings. In the meantime, you may notice the engine not working quite "right." Besides, the ECM on some modern vehicles can keep trouble codes in memory for a few days even without battery power. Instead, on a 1996 or newer model, use the scan tool to reset the light. Disconnecting the battery on some OBD-II systems will erase the driving strategy from the computer's memory. Whenever the Check Engine light on your dash panel comes on, try to find out the reason for it as soon as possible. Self-diagnostic systems have become more advanced, going beyond typical monitoring operations. Modern OBD systems not only report system problems, but also checks how efficiently a system and its components are working. The computer will let you know when one of these components is about to fail, saving you some money and road headaches in the process if you take advantage of these features. Even more, when a potential failure can cause extensive damage, the OBD system will produce a flashing signal to help you avoid expensive repairs. The check engine light of my vehicle is continually flashing. What does this mean? Some raw fuel is reaching the catalytic converter and could damage it. You need to make this repair before you have to replace the cat. My engine light is blinking in my 2008 Ford Edge. What's the problem? Usually, this means the computer is warning you about raw fuel reaching the catalytic converter. This could be a misfire issue, but you need to diagnose the problem first. Do it as soon as possible before serious damage is done to the cat. My Kia Picanto high beams flash when I hit the accelerator, especially under load or when going uphill, and the check engine light comes on. I hear a click from the relay/fuse box area when this happens, and the engine does a brief stutter. I took it to Kia, and they couldn't solve it; I've been to an auto electrician, and they couldn't find fault codes or solve the problem either. I've also changed the throttle body and sensors. Do you have any idea what the problem could be? It could be a fault in the alternator. When one or more diodes begin to fail, you get a sort of pulse in the electrical system when you step on the gas (AC sent from the alternator instead of DC). You should have the alternator checked. what does the p0032 code mean? This code points to the oxygen sensor (bank 1) in front of the catalytic converter. There could be a malfunction at the sensor, connector or circuit. Can you explain what P0300 and P0507 mean? P0300 - Basically the computer has detected a random or a multiple misfire. The most common reason for this code to appear is when using worn out spark plug wires, plugs, issues with an ignition coil, oxygen sensor. P0507 - the idle air control system (IAC) is running at high speed - (usually over 200rpm over the designated parameters). This may show up in vehicles with electronic throttle control or a related sensor(s). Also, common sources are vacuum leaks, IAC sensor or circuit faults, buildup around the bore of the throttle body, bad PCV valve. What does a P0016 code mean for my car? The computer has trouble reading the signal from camshaft position sensor in bank 1. It might be out of alignment, a timing belt may have missing teeth - on the other hand there could be a restriction in an oil control valve passage. What does a P0170 code mean? This code usually means the ECM (computer) can't control air/fuel trim as it was programmed to. The usual suspect is the O2 sensor (if five-years-old or older). But there could also be an air leak, vacuum leak, MAF sensor, or camshaft-crankshaft sensor issue. What does a P0626 code mean? 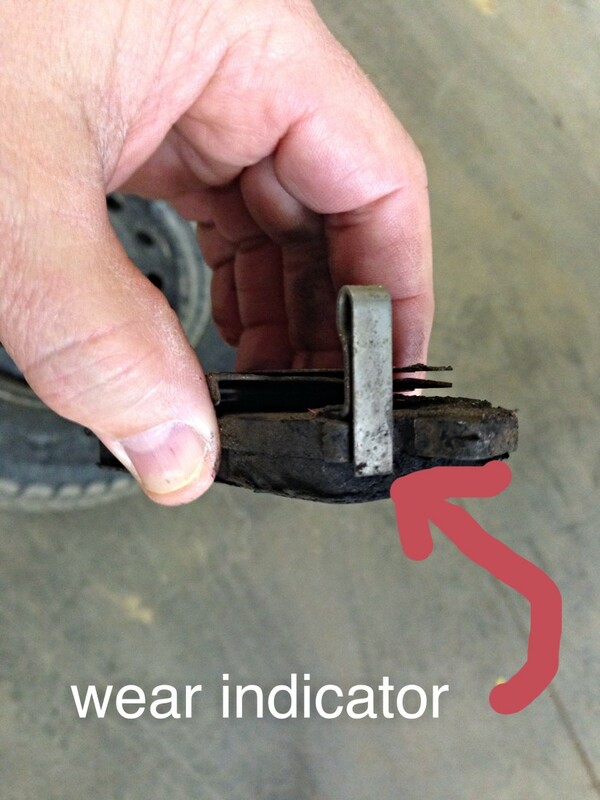 This usually indicates a problem with the field circuit or the coil itself inside the alternator. You can see the coil through the vent holes on the alternator. The problem can be with a fusible link, a blown control circuit fuse, or the alternator itself has failed. Less likely, there could be a problem with the car’s computer. What is an po456 error code? Why didn't my1993 Camry trigger the check engine light when one of the injectors was faulty (causing a dead cylinder) and the rest of the injectors were dirty, running really bad? Usually, a mildly restricted fuel injector would not cause the engine light to come on. However, if this same injector causes a misfire, the computer will notice it. If the misfire recurs, it will trigger the CEL. It the problem was intermittent at first, may there was a pending code stored, and the computer waited for the next test cycle. If it didn’t happen, the CEL didn’t come on. If you are sure there was a dead cylinder (not intermittent), probably there’s a problem with the ECM, but I’d check the EGR valve, and for good spark as well. I need my CEL to come back on after accidentally being cleared on a scanner. Do you know how to do that? How would you diagnose a P218F code after both the MAF sensor and EGR valve are replaced? There are a few possibilities - If you replaced the MAF sensor because of a code, there might be a problem with the wiring or the connector. Make sure there are no air leaks - air ducts properly sealed after replacing the MAF sensor, perhaps, triggering the O2 sensor to report a bad ratio. Check the fuel pressure and also check the O2sensor. If you have a V6-8 engine, check the O2 sensor for bank 2. Keep in mind that this is just a general description. It'll be a good idea to Google the code along with information about your specific vehicle because this could change depending on the model. What should I do with these four fault codes: P0087,P0088,P0192,P0193? Check the fuel system: fuel filter, pump, fuel pressure sensor, pump relay. what does code P1131 mean? You may have a bad oxygen sensor - the one located before the catalytic converter. If you have a V engine, look for the one connected to the side where cylinder one is located. Also, other faults can set this code (lean-condition): a faulty MAF sensor, a vacuum leak, bad fuel system pressure, or a leaking fuel injector. My ‘02 Mercury Sable has a misfire. The engine light flashes when I go up hills and right now it's flashing constantly. What could the problem be? The misfire is allowing too much raw fuel to reach the catalytic converter. You need to find out the cause for the misfire before it destroys the catalytic. Pull down the diagnostic trouble codes (DTCs) from the computer memory. It may give you an idea about which system to start looking into. This other post may also help you. What does the p1130 code mean? 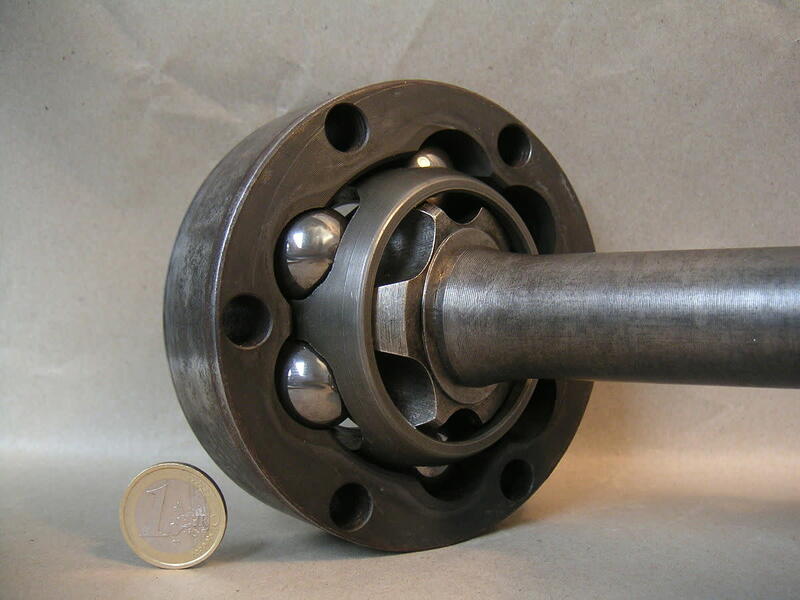 There may be a shorted swirl control valve (opened). Check the repair manual for your model to locate and test the valves. If you don't have the manual, your local public library may have it in the reference section. What does the poo68 code mean? It's possible there's an air leak between the MAF sensor and the throttle body. Other possibilities are a faulty MAF sensor, clogged air filter, intake manifold leak. If there's an electronic throttle body, check it as well. What does the P0101 code mean? The P0101 code points to an issue with the MAF sensor, either the circuit or the sensor itself. The computer is detecting the sensor's signal from the predetermined frequency. You might want to check if the sensing element is blocked or dirty); this is a common problem with MAF sensors. You can find MAF cleaning sprays at local auto parts stores if you need one. 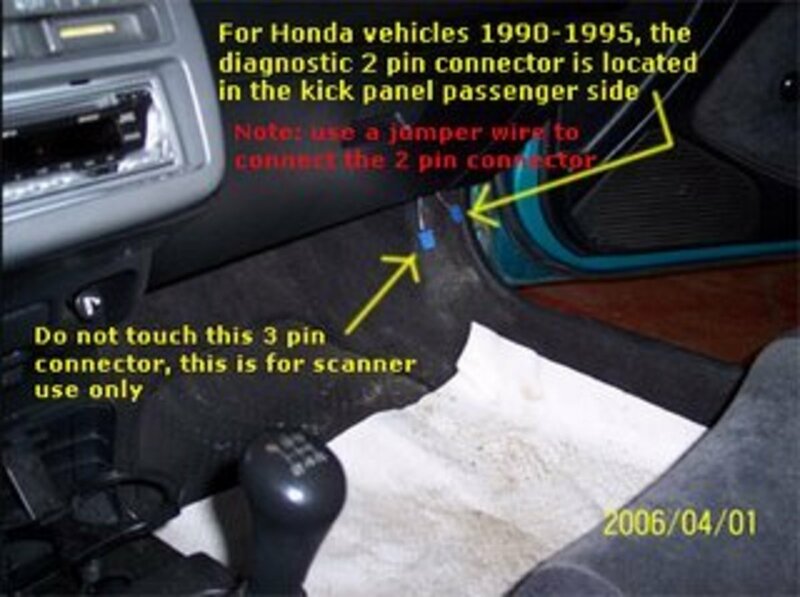 Otherwise, you may try trouble shooting the sensor using your vehicle repair manual. You can find Haynes manuals at your local auto parts stores or online. What can I do to resolve my van's trouble code P0430? Have the oxygen sensors checked first. If they are OK, check the catalytic converter. What does a P0601 code mean? This is basically a problem with the computer itself. Have the PCM checked. If the problem is with the computer, sometimes it's possible to reprogram the computer; otherwise, it has to be replaced. You can't have them come back using the scanner tool, but you can do a complete driving cycle to have the trouble code(s) come back. Basically, you need to drive within the city and at highway speeds, accelerating and decelerating, until the computer goes through the monitored emission systems tests. This is usually 8. Scanning the computer will let you know the cycle is finished. How much you have to drive for the cycle to complete changes from model to model. Hope this helps. My CEL came on and someone used a scanner to check the code..then accidentally erased it i need it to come back on so the repair will be covered under warranty. How can i get it to come back on? Check what trouble code is stored in the computer's memory. Sometimes it'll say something about the coil pack, for example, but you may need to check the circuit as well. You can search online for the code and see what it means. Hope it helps. My engine light came on last week. I called out lube mobile amd they detected the coul pack was the trouble. We replaced that ( didnt change the spark plugs at the time though we shouldve) and now a week later my engine light is back on again. Any ideas? Download the trouble codes from the computer and see what it tells you. Most likely raw fuel is going into the exhaust system and your engine light is warning you the catalytic converter will be damaged. Eveytime i start my 2001 audi a8 the engine light will start flash and then stop but this time i was driving and the car died on me i change the camshaft sensor/fuel pump and the crankshaft senson and still nothing any ideas? It'll be a good idea to check the MAF and make sure it's working properly. A flashing CEL is something to be worried about, it signals raw fuel going to the cat and that could destroy it. If it's stopped, probably the was an intermittent failure. But it's better to diagnose the problem and start with the MAF. 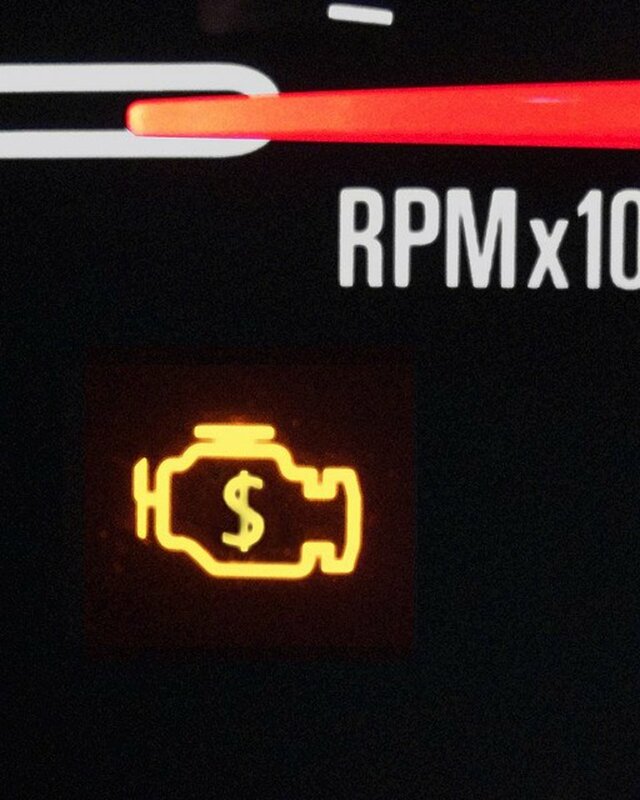 My check engine light has flashed for just a few seconds twice in the last 3 months. Had firestone check codes and they said only thing that was reading was mass air flow error. Should I be worried? Is this a major problem? Make sure to have both the computer and switch diagnosed. my turn signal lights wont stop blinking and now it actually signals opposite when i need to turn for example if im Turning left and signal left it actually starts signalling right, but the thing is the computer itself was not diagnosed the first check up to see what the problem was and then when they ordered and put my signal arm part, is when they noticed my computer has burnt spot on it. A knock sensor code (P0325) shows up when the computer doesn't get the information it's supposed to get from the sensor. Usually this means the sensor itself is bad or there's a problem in the circuit or the electical connection, but a loose battery cable won't cause the computer to "think" the sensor is bad. If the battery cable is loose will it make a knock sensor show up bad and make the check engine light come on? Sometimes leaving the gas cap loose will trigger the light on. Still, you can stop by your auto parts store and have them pull down the codes for you and see what you get. Engine light (yellow)on. Last time it was about 2 weeks ago that came on and diapered after refuling. Usually it is. Scan the computer's memory. If there's a problem, the cat can be damaged. fantastic platform, my car is flashing check engine light continuously immediately after an electrician worked on it and he said it is a code. can this be true? 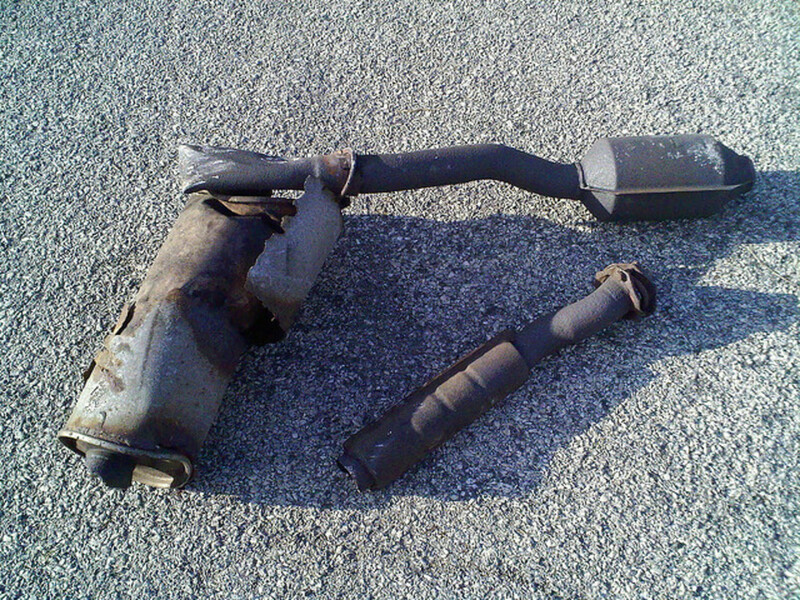 This is a warning that your catalytic converter may fail if the problem is not fixed soon. There's probably raw fuel passing into the exhaust manifold. It's possible there's a multiple misfire, that's why the engine is losing power. Raw fuel is reaching the catalytic converter, causing the engine light to flash. This could damage the catalytic converter. You need to fix the misfire before it damages the cat. It's possible the canister purge valve is leaking and passing fuel fumes to the engine. This may be causing the flashing light - need to have it check, the catalytic converter may be damaged. My sisters 2002 Holden Astra is turning over but won’t start. Her check engine light is flashing and it sounds like her carbon canister valve is ticking?! Pls help. Yes 10 minutes won't do much harm. Probably what's happening is that some unburned fuel is passing through the exhuast system and the computer is warning about potential damage to the catalytic converter if you don't fix it soon. Hi, my check engine light starting flashing today, mechanic said to bring it over in the morning, can I drive it to get to my mechanic who is 10 mins away. There may be an issue with the circuits. Check for loose connections, damaged to wires. Did you get the DTCs (trouble codes) from the computer? See if they point to an ignition, emissions system failure first. Hai sir,I am in India,the Nilgiris. My opel astra 1998 model was didn't start no spark. The engine management light was blinking. I change ignition coil pack and wires and cranksensor. I need your help. You may have problems with the shift solenoid or even the battery, make sure it's fully charged and in good operating condition. Usually when the CEL comes on in a situation like this is to tell you that the engine is in safe-limp mode to prevent damage. Hi Dan, my car won't gear up when hitting the highway. I accelerate but will stay around 40-50 mph. When this happens an intermediate check engine light appears. I can slow down and the car will jump into the next gear though. I drive a 2004 Grand Prix. The blinking light means there could be damage to the catalytic. Get the DTCs stored in memory and take it from there before you start changing parts. Hi, My Honda Accord 2009 LX has a constant blinking check engine light on and i keep hearing a ticking sound from the engine. Also i noticed the car is not firing properly and the smoke from the exhaust is black . please what should i do to fix this. Hi Dan thanks for your reply and input, suspect the same as you have mentioned and have checked most of the wiring harness and connections with no luck, no error codes with OBD scan. Since my post I checked again and as said lightly touched the wires to the indicator/high/low beam switch (Yellow/white wire this time) and since all is working fine again till next time, so far the engine check light comes on every time and starts fine even the throttle control valve is working fine now again which was a problem before. My suspicion is that there is a problem with one of the wires in the loom under the dash. Will only be able to check the wiring again when the problem comes back. As you say intermittent problems are very hard to trace, this one more so as I have to check continuity through each wire which could end up not being a true reading as by touchin the wire continuity could be found. Intermittent problems like those are hard to trace. But since you mention that sometimes the car won't start, I'm wondering if there's a bad ground. Have you checked the battery and engine grounds? Just a thought. Also, have you scan for codes, just in case? 2002 Opel Corsa light 1.4, my problem is somewhat different though, when I switch car on and the engine check light comes on (it blinks) then the car will start, but then sometimes the light won't come on and the car won't start. To my thinking it must be a weak or bad connection somewhere because if I fiddle with the wiring it comes back on, sometime a light touch other time more vigorous, but as it goes never the same wiring loom or wire. How now, has anyone experienced this before. Have you checked for DTC (trouble codes)? Usually, when the CEL flashes it means trouble for the catalytic converter. Check for pending codes. Also test the MAF and oxygen sensor. Take a look under the hood for loose wires or vacuum hoses. And make sure the air cleaner ducts are sealed, not allowing unmetered air through. There's probably some damage to the catalytic converter. Take the car to the shop for an inspection. I drove into a bump then the engine light start to flash and the car started to jurk when I was going slow and there is a weird smell coming out of my truck. Avalanche 2005 1500. My husband changed the spark plugs and now the light stays on for a while then start to flash while driving. And still runs funny and have that smell. You may have more than one issue going on. The battery light usually points to a problem with the alternator or charging system. Make sure the belt is correctly adjusted, and have the alternator checked if necessary -most auto part stores will do it for you. The engine light blinking is telling you a serious problem is affecting the catalytic converter and may cause damage. Scan the computer memory for trouble codes (DTCs). Start there. This may solve the engine stuck in high gear, but test the idle control valve, if necessary. That certainly is new. Who would've guessed - system too lean and the culprit was a bad spark plug. I'd think this would produce a misfire code. Go figure. Well, here's a new one for you. The engine light and stabilitrak/traction control lights came on after new spark plugs were installed. Engine was jerky (hesitation) and brakes did a pulse grab occasionally when applied. Error codes were P0171, P0174 and a G??? code for the Traction Control. Guess what?...the problem was not the air flow, oxygen or fuel system sensors or the fuel injectors or vacuum lines, etc., ...it was one of the new spark plugs (GM iridium?) that was faulty. How about that! New plug replaced, running like silk. The vehicle is a Saturn Outlook 2007 with 135,000 Km that is in showroom condition. Always well looked after. Hope this helps. You might want to check the speed sensor(s). If it/they failed, the ECM detected the fault and it may cause all bunch of lights to go crazy. Double check the trouble codes, make sure the you don't have also a catalytic failure (blinking). My 1996 Prado speedometer and odometer stopped working. When the speed increa, the O/D Off light started blinking on the dashboard. I did the manual diagnostic using a jumper inserted between TE1 and E1. The check engine light continuously blinking steadily. What does it mean? You seem to be getting a warning for the catalytic converter, but it's rare it doesn't show any codes. If you can, check the pre-catalytic O2 sensor and the post O2 sensor. It's possible the post-one is failing but I doubt it. Check it as soon as you have a chance to prevent damage to the converter. Check engine light will blink for several minutes or stay on. I have used a code checker but it will not show a code, just blink as long as the checker is plugged in. 2000 chevy silverado 1500 5.3. This write-up has been very informative. it is written so even dummies like me can have a little knowledge of what they're looking for. My trouble where my vacuum lines were Rotted .Thank You AxleAddict.